July 26: We are finally back home in Ouray after our month on the road! Now that I’m back at my real computer monitor, I’m starting to go through all my photos and over the next few days I’ll post blog posts from each of our adventures during our trip. 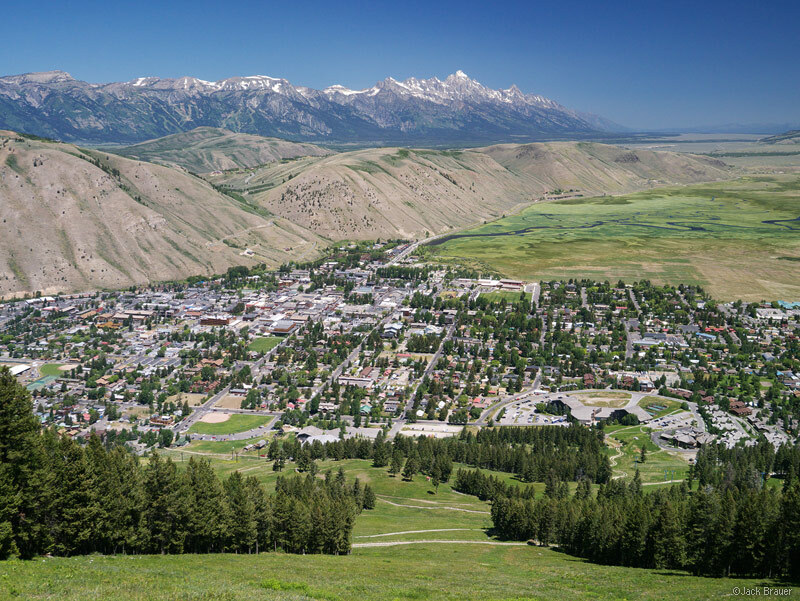 A view of the town of Jackson and the Teton range, as seen from Snowking Mountain - July. 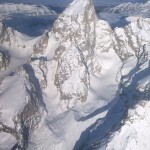 Our first stop on our road trip was Jackson, Wyoming, my stomping grounds during the winter of 2009-10. I was happy to see my old friends there again, and to check out the scene for the 4th of July. Though the fireworks were cancelled due to the dangerous drought conditions, we enjoyed the long parade through town in the morning, followed by a day hike up Snowking Mountain above town. 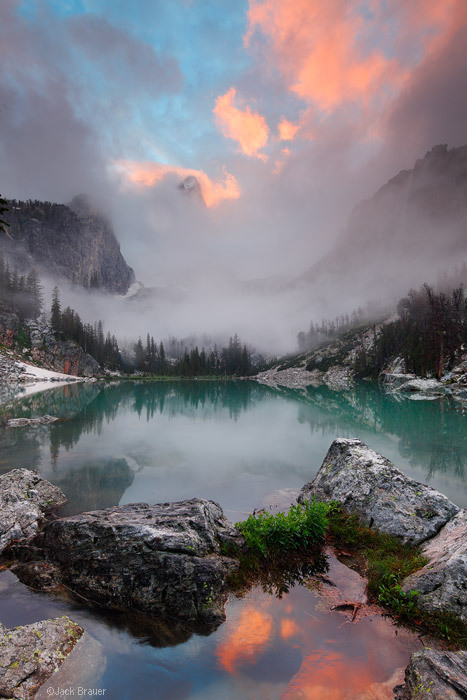 A storm breaks at sunset, as misty clouds lift off of the Grand Teton - July. We then took off for a couple nights in the Tetons, backpacking to a lesser-known lake right beneath the Grand Teton. We brought our crampons and ice axes along with big ideas to climb a nearby peak, but we ended up just lounging around like lazy marmots, laying in the sun by the lake the whole time with the spectacular views overhead. A secret campsite hidden in the shadow of an enormous boulder allowed us to sleep in until 10:00 or 11:00 each morning! (Of course I managed to crawl out of the tent for sunrise shots before hitting the sack again). On the first evening an afternoon thunderstorm cleared up right at sunset. Unfortunately for the photography, the clouds didn’t quite clear until right after the sunset light, but it was still quite a sight to behold to see the misty clouds swirling around and rising off of the Grand. 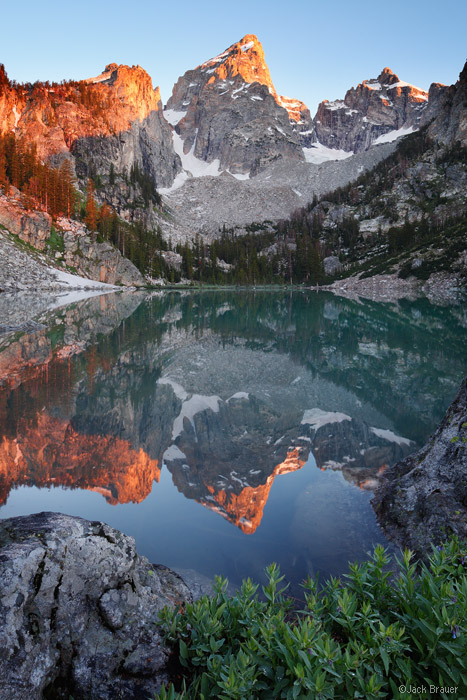 Reflection of sunrise light on the Grand Teton - July. The next morning was totally clear and calm. 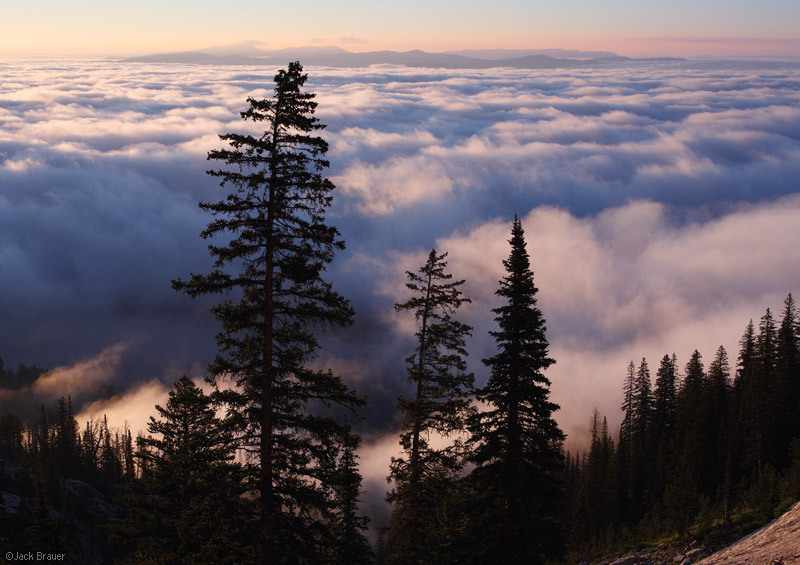 But below us, the Jackson Hole valley was blanketed in inversion clouds! 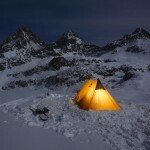 Posted in Backpacking & Trekking and tagged Tetons, Wyoming on July 6, 2012 November 24, 2013 by Jack Brauer. ← Previous: "Time to Boogie!" 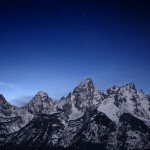 These are great, Jack, and it’s always a treat to see something off the beaten path from the Tetons. Sure makes me wish I weren’t missing my northern Rockies time this summer! Solid shots. We tried to spend a bit of time in Jackson on July 4th a few years ago after camping on the Driggs side of the Tetons. We couldn’t get out of there fast enough.